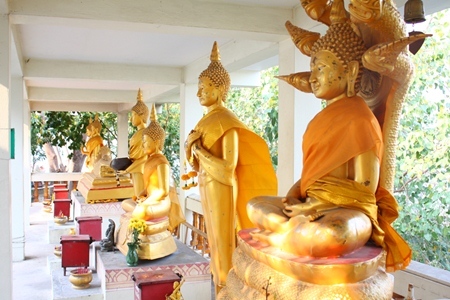 Besides its beaches and bars, Pattaya offers a number of Buddhist temples to attract the interest of tourists. Khao Phrabat Temple is one of them. Overshadowed by the more popular Khao Phra Yai Temple, Khao Phrabat also sits on Big Buddha Hill near the statute of the revered Prince Chumphon. Among Buddhists, however, Khao Phrabat is itself revered for its cast model of Lord Buddha’s footprint. Built in 1967 upon request the request of Chaimongkol Temple Abbot Vibun Sangkhakarn, the temple showcases the footprint on a granite altar. Various Buddha statues represent different days of the week for people to worship on their birthday. Visitors can also enjoy the colorful pictures on the “mandapa” hall and pay their respects to gods overseeing birthdays in each month of the year. Guests can also give alms and necessary items as donations. The view from the hill isn’t bad either. It is believed there are only five casts of the Buddha’s footprint, on each housed at Khao Suwanmalik in Laem Malayu, Khao Suwan Banpot in Saraburi; Khao Sumonkut in Sri Lanka, Yonkaburi in Chiang Mai, and on the Nerbudda River in India. 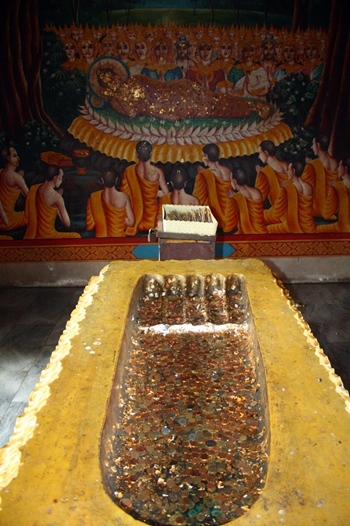 A replica of Buddha’s footprint is highly worshipped at Wat Khao Phrabat. 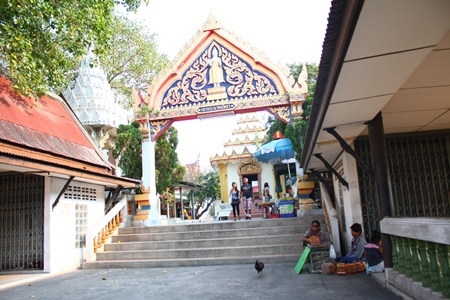 The entrance to Khao Phrabat Temple on Pratamnak Hill.